Why do I think the JVC KD-R820BT Deck is great value? 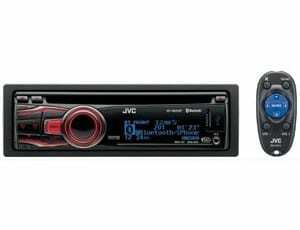 The JVC KD-R820BT has BlueTooth hands-free capability, but so does the Alpine CDE-126BT and the Kenwood KDC-X695, but the JVC KD-R820BT also will STREAM AUDIO while the others don’t. The KD-R820BT has 3 pair of pre-outs, so does the Kenwood KDC-X695 while the Alpine CDE-126BT has only 1 set. The JVC KD-R820BT car deck will also control Pandora via USB with iPhone and with Bluetooth on other phones like Droids, and Blackberries where the others are not capable. The JVC also gives you a choice of colors to match your dash the others don’t. So all in all the JVC KD-R820BT is a great value. They all come in around $220.00 and they have pretty much identical power, however another important consideration is when you are playing music from your iPod the JVC and Kenwood will sound better because the JVC & Kenwood uses the decks DAC which is superior than what is found in the iPods, so will render a more dynamic playback. I don’t know why Alpine still reads and processes the file using the iPods DAC but I look for that to change soon, especially when more and more people are using lossless recording protocol which eats up the bits but results in a much cleaner, less compressed sound. You can come in and see all these decks and play with all the whistles and bells and ask us as many questions as you want. Sounds Good To Me car audio & video electronics and security alarm system installation specialists are located in Tempe, AZ, servicing the entire metro Phoenix area including Mesa, Chandler, Scottsdale, Glendale and Gilbert, Arizona. Call us at (480) 968-8543, visit us at www.soundzgood2me.com or contact us by email at soundzgood2me00@yahoo.com.